Oak Forest is a popular close-in Houston neighborhood. 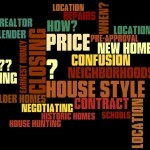 Search for Oak Forest homes for sale here, as well as getting home prices, home sales and more. Oak Forest house styles and history are also shown. View my page on Oak Forest Price Trends for more information on this market. Maps of Oak Forest show its proximity to neighboring Garden Oaks and its neighbor to the south, Greater Heights. 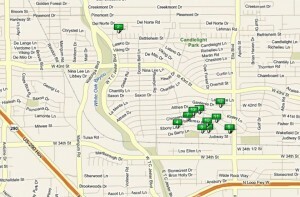 Oak Forest is a large extremely popular neighborhood of about 5500 homes; mostly 1950’s ranch style homes on large lots. The face of the neighborhood is changing drastically though. Where most of the homes are affordable 1950’s ranch style homes, the new construction is much larger and more expensive. The little houses are being replaced by big ones. Oak Forest lots though are fairly large, so the bigger homes don’t overwhelm the lots like they do in nearby Heights, with its smaller lot sizes. The original homes are popular because they are old enough to have wood floors & cool built-ins. People still love the funky 1950’s tile baths (generally green, yellow, blue or horrid pink tile) and good construction. They can be lightly remodeled by re-doing the kitchen and leaving the baths alone, or do complete renovation, even opening walls. The image below shows some typical Oak Forest homes. There are a lot of places to search for homes online: Zillow is the most popular, but Trulia and Realtor.com are options too. 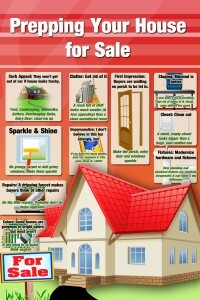 There are reasons to search these sites (like listing for-sale-by-owners), but often info is out of date. Always verify on local MLS where data is updated every 15 minutes, not every few days. This MLS Home Search is for homes built before 2012. Thus it will be mainly older, original homes. This MLS Search is for new homes that are new or built after 2012. Two things to watch for when searching for an Oak Forest home: Is it in the flood plain? Is it next to a major street or commercial street? Oak Forest is such a large area that parts of it are near commercial streets, especially West Oak Forest. Any neighborhood that has a bayou running through it has a great green space and hiking trails associated with it but it also has a flood plain…be aware of it. Always start with a map search. See how close it is to the bayou. If close, find out if it is in the flood plain. Flood insurance can be expensive, and it’s not getting cheaper. The map will also show you what the house is near. It can be a gorgeous home, but surrounded by commercial traffic. This is mainly around the edges, but look first. Location: Oak Forest is just above the 610 N Loop, West of Ella. Boundaries are roughly: Just above W34th to a few blocks north of W43rd St. Mostly West of Ella to TC Jester, but a few sections extend all the way to Highway 290. 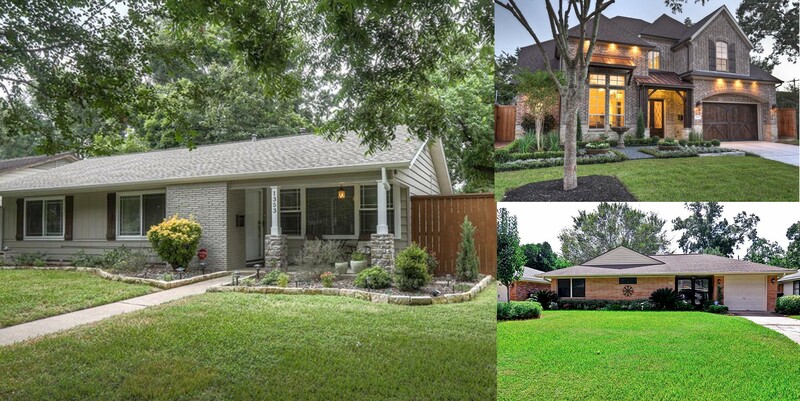 Oak Forest is West of Garden Oaks, a neighborhood of bigger homes and bigger lots. The smaller scale of Oak Forest homes made it affordable for returning GI’s. The map to the right shows the different sections of Oak Forest. Clicking on it will bring up a larger/clearer version. 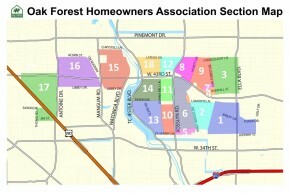 This Searchable Oak Forest Section Map gives more details. A well known Houston developer, Frank Sharp, created several post WWII neighborhoods. Sharpstown is the best known of his developments, but he also created Oak Forest in 1946. He built the homes in section 1, but later developed 16 other sections which were built by other builders. The initial homes sold for $8000-$10,000 in the late 1940’s. The Beginning of Oak Forest was told by an early resident, Ruth Metzger. She describes buying one of the first homes in the area. Oak Forest is in a great location. Just outside the loop, but easy access to 610 N Loop and 290. 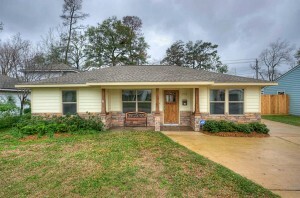 Easy access to downtown, Galleria, Med Center, etc. Lots of close restaurants and shopping. The homes built in the 1940’s and 1950’s were well made, and have a style still appealing today. They were built on slabs, but before the advent of cheap carpet, so the floors were typically pine or oak. These floors today can look as good as they did when first installed. The little quirks of telephone niches, odd little brick planters, drop-down ironing boards, etc., are still appreciated today. A lot of these homes have been remodeled; some simply by updating; some by removing walls and opening rooms to achieve open spaces. They become wonderful old homes with modern conveniences. New construction is very popular here. The big lots cannot be subdivided, so cheap townhomes are not found here. Big homes on big lots are the norm for new homes. These homes start at ~$500K and currently (2013) go up to about $900K. It is new construction that pushes up the prices of tear-downs and thus pushes all prices up. Prices inside the loop are going crazy, which in turn pushes more people to look for homes just outside the loop. Not only are the prices better than areas like the Heights, you also get bigger homes and bigger lots. If you have questions, I’m happy to answer them. These older homes in older neighborhoods are never easy to figure out.`I live in the Heights, but help buyers and sellers with homes in these cool, older neighborhoods. If you want a home way out in the suburbs, I am not your guy. 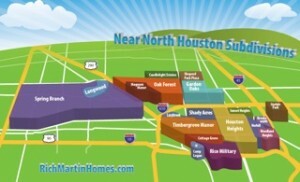 If you have an interest in these close-in neighborhoods, Contact Me Here or Call 713 868-9008. 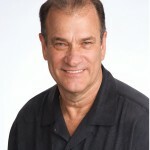 Heights Realtor, Rich Martin, Berkshire Hathaway HS Anderson Properties. I have written quite a bit about the surrounding area of Oak Forest. 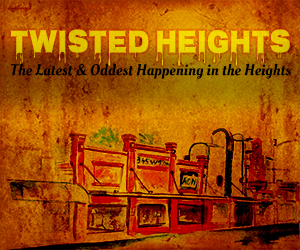 See below for details on this huge neighborhood & more up to date posts.